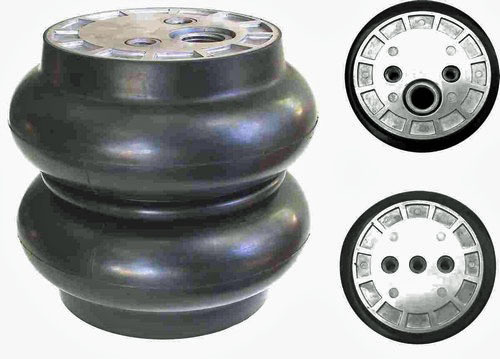 The actual air bags, or air springs, for custom cars and trucks can vary slightly. The different styles and sizes of them all do the same thing, which is inflate to lift and deflate to lower the suspension of the vehicle. However, some styles or sizes may be more appropriate for your application. Our air bags are top of the line and are exactly what you need to get your car or truck to lay out properly! We sell the best springs/bags in the industry, hands down! Don't miss our great prices and fast shipping to order your next set of air-bags/springs! As Always you can expect quality from each that we offer! The larger Dominator 2600 is another of AirLift EasyStreet's re-desiged airsprings. These bags feature an unmatched maximum restrained strength of 600 psi, 9.7 inches of usable stroke and a load range of up to 3055 pounds. With more lift, a softer, smoother, ride and the lowest price in the industry ~~ you can’t go wrong with the new Dominator's! 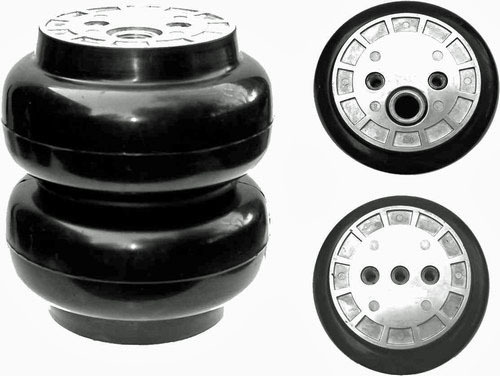 Slam Specialties RE-5 Evolution Series Air Springs (5 inches outer diameter) are designed for compact vehicles and provide industry leading performance and comfort. These have a max pressure rating of 200 psi. With their many features, you know you are getting an air spring that will serve your needs for years to come. Click here for more information on our Slam Specialties RE-5 Air springs. The RE-6 Air Bags are very popular for use in midsize cars and minitrucks. Like all of the RE series of air springs by Slam Specialties, these feature internal bump-stops to prevent a harsh bottoming out when riding at low pressure. These bags have a max pressure rating of 200 psi. and have a outer diameter of 6 inches. Click here for more information on our Slam Specialties RE-6 Air springs. Slam Specialties RE-7 Evolution Series Air Springs (7 inches outer diameter) are designed for fullsize cars and trucks to provide industry leading performance and comfort. These are "non-balooning" and have a max pressure rating of 200 psi. With their many other features, you know you are getting an air spring that will serve your needs for years to come. Click here for more info on our Slam Specialties RE-7 Air springs. 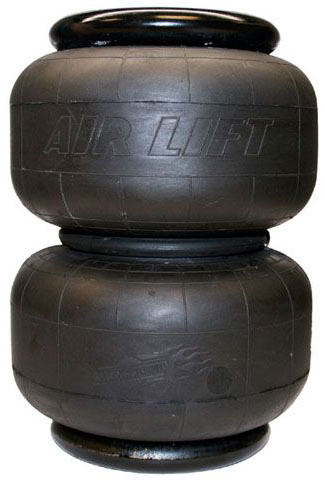 Click here for more air suspension products like our air bags!